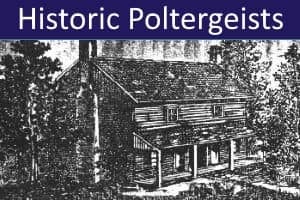 Here we present summaries of eight of the most notable poltergeist cases since 1950. Location: Sauchie (pronounced 'Sockee'), Clackmannanshire, Scotland. Home of Thomas and Isabella Campbell and their children, Margaret (age 9) and Derek (age 6). Also resident (visiting from Ireland) were Thomas's sister Annie, and Annie's daughter, Virginia (age 11). Phenomena were also reported at Virginia's school in Sauchie, and at a house in nearby Dollar where Virginia had been temporarily moved. Principal Investigator: A. R. George Owen (mathematician and psychical researcher). Phenomena: Scratching and sawing noises. Knockings. Footsteps. Disappearance and reappearance of objects. Flying objects. Movement, vibration and levitation of furniture. Rotation and rippling of pillow and bedding. Doors opening and closing. Poking and pinching. Poltergeist Agent: Virginia Campbell (age 11-12). Trigger: Move by Annie and Virginia, in the autumn of 1960, from their home in County Donegal, Ireland to lodge with Thomas Campbell's family in Scotland. The phenomena began a few weeks later. 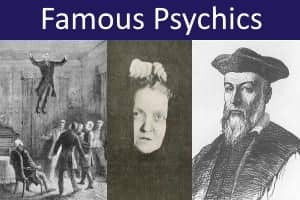 Comments: The Sauchie case is one of the best documented examples of a prototypical poltergeist manifestation. 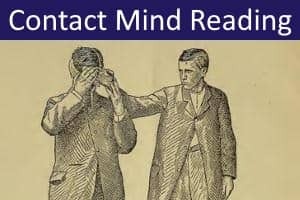 Although the phenomena lasted for only a few months over the winter of 1960-61, they were experienced and recorded by several reliable witnesses, including the local minister (Rev. T.W. Lund), the local doctor (Dr W.H. Nisbet), and Virginia's teacher (Margaret Stewart). No evidence of trickery was discovered. 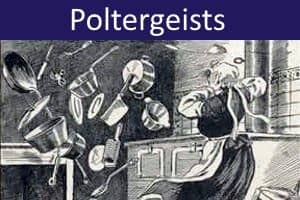 Psychical researcher George Owen, who wrote a detailed report of the case, considers that it establishes the reality of certain paranormal poltergeist phenomena, which he attributes to psychokinetic activity by the poltergeist agent (Virginia Campbell). Credibility: ★★★★☆ Paranormal activity is strongly indicated. 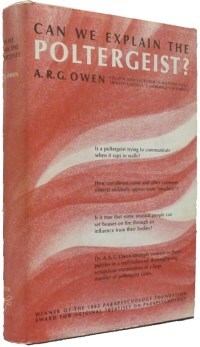 Owen, A.R.G. (1964). Can We Explain the Poltergeist? New York: Helix Press / Garrett Publications. Location: North Delaware Street, Indianapolis, Indiana, USA. Home of divorcee Mrs. Renate Beck (age 32), her widowed mother, Mrs. Lina Gemmecke (age 61), and Renate's daughter, Linda (age 13). Principal Investigators: William G. Roll (parapsychologist), David Blumenthal (clinical psychologist). Phenomena: Knocking sounds. Movement of household objects and furniture. Throwing and smashing of glassware and crockery. Disappearance and reappearance (less some cash) of purse. Tearing of pillows and pictures. Puncturing of the women's skin (' bites'), particularly to Mrs Gemmecke. Poltergeist Agent: Not established. Possibly Renate Beck. Even though Linda was the typical age for a poltergeist agent, she was absent when many of the events occurred. Trigger: Family tensions and fights. Renate showed hostility towards her mother, whom she experienced as overly possessive and controlling. Comments: As a result of the disturbances, the police became involved on the second day of the outbreak and began inquiries. 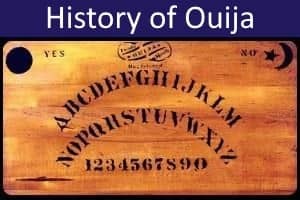 Dr Blumenthal visited the family and, believing the phenomena to be paranormal, called in parapsychologist William Roll. The two men observed the famliy over a period of several days. Several other visitors also witnessed the phenomena. Most of the events occurred in the two-week period between March 10 and March 24 1962. On March 24, Mrs Gemmecke collapsed at home and a priest was called in. While praying, Renate also collapsed, 'almost in a coma', and was seen to throw an ashtray. Later that evening, Renate decided to take her mother to the hospital. Mrs Gemmecke then fainted and the police were called in to assist. A sergeant arrived and saw a revived Mrs Gemmecke throw an ashtray and turn over furniture. The woman was arrested and spent the night in jail. The next day she was taken to hospital for treatment, then returned to jail before being released on bail. Mrs Gemmecke was then brought before a judge but, by this time, she had decided to leave the country. On March 31 she flew back to her home town, Kassel, in Germany. Mrs Gemmecke's departure led to a cessation of the poltergeist phenomena, although a few events occurred at the house later that year and in early 1963. Roll, W.G. (2004). The Poltergeist. New York: Paraview. Location: Jaboticabal, Brazil. Home of the Ferrier family. Phenomena: Throwing of stones and bricks through windows. Knocking, raps, bangs. Smashing of crockery. Slapping, biting, bruising. Outbreak of fire. Poltergeist Agent: Maria Jose Ferrier (11-year old daughter of the Ferriers). Comments: Maria's parents called in a priest to perform an exorcism (which made the phenomena worse). Joao Volpe was then approached. Volpe explained to the family that this was a poltergeist manifestation most likely brought on by stress. With the parents permission, he removed Maria to his own home. For a few days this appeared to be successful, but then the violent phenomena started up again. Volpe next took Maria to see the prominent Brazilian Spiritist, Chico Xavier. Xavier performed a spirit release ritual and declared Maria now free from troublesome spirits. She was then allowed to return home. Tragically, a few days later, Maria committed suicide by poisoning. After her death, the phenomena ceased. Hale, R.E. (2010). The Jaboticabal Poltergeist. Paranormal Underground, 3(10), 38-9. Location: Miami, Florida USA. Warehouse of Tropication Arts, a novelty wholesale company. 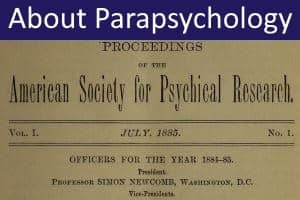 Principal Investigator: William G. Roll, J. Gaither Pratt (parapsychologists). Phenomena: Throwing, falling and breaking of ashtrays, glasses and other items. Falling and overturning of boxes. Movement of objects. Poltergeist Agent: Julio Vasquez (Cuban refugee, age 19). Trigger: Julio Vasquez had experienced family problems and had recently attempted suicide. The phenomena began when Julio was hired by the company. He did not like his employer. Comments: It soon became apparent that the phenomena occurred only when Julio Vasquez was present. Numerous witnesses experienced objects being moved, thrown and smashed. Often Julio was well away from the objects. No evidence of trickery was discovered. The phenomena in Miami ceased when Julio left the company. It is reported that the poltergeist activity followed Julio to subsequent workplaces. Roll, W.G., & Pratt, J.G. (1971). The Miami disturbances. Journal of the American Society for Psychical Research, 65, 409-454. Location: Rosenheim, Upper Bavaria, Germany. Legal offices of Sigmund Adam. 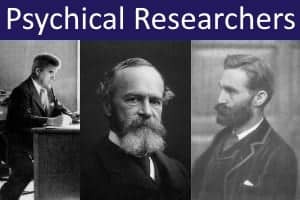 Principal Investigators: (1) Friedbert Karger, Gerhard Zicha (physicists); (2) Hans Bender (parapsychologist). Phenomena: Swinging and explosion of light fittings. Lights flickering and turning on and off. Removal of light bulbs. Movement of office furniture. Leaking of copier fluid. Unauthorised outgoing phone calls. Ringing of phones. Electrical surges. Poltergeist Agent: Annemarie Schaberl, aka Annemarie Schneider (office secretary, age 19). Trigger: Personal relationship trauma. Unhappiness at work. Comments: Researchers soon discovered that the phenomena only occurred when Annemarie was at work. The phenomena ceased when Annemarie left the firm and got married. Bender's investigation has been criticised for failing to rule out possible hoaxing and natural explanations. Indications of trickery have also been reported (e.g., the discovery of nylon threads attached to office lights). Bender, H. (1968). Der Rosenheimer Spuk – ein Fall spontaner Psychokinese. Zeitschrift für Parapsychologie und Grenzgebiete der Psychologie, 11, 104-112. Bender, H. (1974). 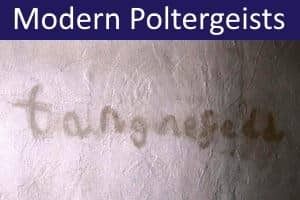 Modern Poltergeist Research - A Plea for an Unprejudiced Approach. In J. Beloff (Ed. ), New Directions in Parapsychology, London: Elek Science. Karger, F. & Gerhard Zicha, G. (1967). Physikalische Untersuchungen des Spukfalls in Rosenheim. Zeitschrift für Parapsychologie und Grenzgebiete der Psychologie, 10, 113-30. Location: Cambridge and Linton, Cambridgeshire, England (Manning family homes); Oakham, Rutland, England (Oakham School). Principal Investigators: (1) A.R George Owen (mathematician and psychical researcher); (2) Vernon Harrison (Society for Psychical Research). Phenomena: Movement and levitation of household items. 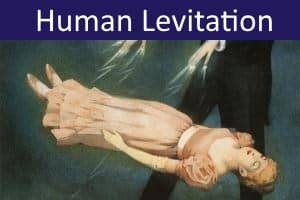 Vibration and levitation of furniture. Throwing of projectiles. Writing on bedroom walls (hundreds of signatures, many identified as being of deceased persons). Bangings and crashings. Shattering of plates. Appearances of water. Poltergeist Agent: Matthew Manning (age 11-15). 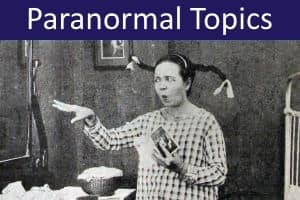 Comments: Poltergeist phenomena were experienced by Matthew Manning from the ages of 11-15, at two family homes in Cambridgeshire, and at his boarding school at Oakham in Rutland. The phenomena were witnessed by his family and by schoolmates. A series of photographs recorded the extraordinary scribblings on Matthew's bedroom walls at Linton. The poltergeist phenomena stopped once Matthew Manning started to use automatic writing and automatic drawing. These activities appeared to successfully channel Matthew's psychic abilities. Matthew later produced a series of highly accomplished drawings and paintings in the style of famous artists. 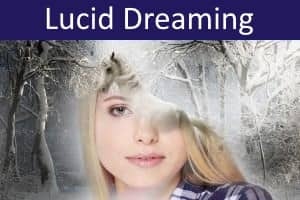 He has written several best-selling books about his personal psychic journey. Today, Matthew Manning works as a psychic healer. Harrison, V. (1994). The signatures on the walls of Queen's House, Linton, Cambridgeshire and some of the automatic scripts and drawings of Mattthew Manning: An appraisal. Proceedings of the Society for Psychical Research, 58(218). 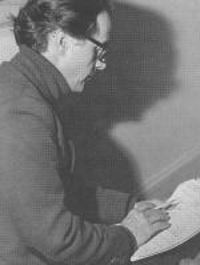 Manning, M. (1975). 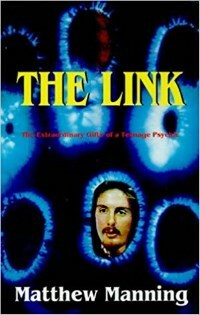 The Link: The Extraordinary Gifts of a Teenage Psychic. London: Corgi Books. Owen, A.R.G. (1974). A preliminary report on Matthew Manning's physical phenomena. New Horizons, 1(4), 172-3. Location: Green Street, Brimsdown, Enfield, North London, UK. Council house occupied by single parent Peggy Hodgson (originally reported as 'Harper') and her four children, Margaret (age 13), Janet (age 11), Johnny (age 10) and Billy (age 7). Principal Investigators: Maurice Grosse and Guy Lyon Playfair (Society for Psychical Research). Phenomena: Scratching. Knocking on walls. Bangs. Throwing of toy bricks and marbles. Flying household objects. Movement and levitation of furniture and other objects. Outbreaks of fire. Pools of water. Malfunction of equipment. 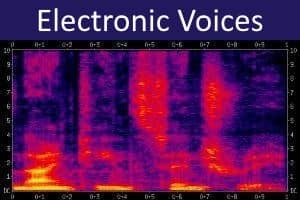 Imitative sounds and human voices (recorded). Appearance and disappearance of objects. Ripping out of heavy iron fireplace. 'Throwing' and levitation of child. 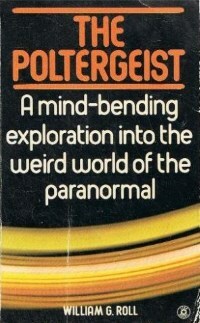 Poltergeist Agent: Janet Hodgson (age 11-12). Trigger: Possibly triggered by Peggy Hodgson's divorce and her family's recent move into the Enfield council house. The girls had played with a Ouija board shortly before the outbreak started. Comments: Phenomena were witnessed by numerous people, including family members, neighbours, police officers, journalists, a photographer, and researchers. 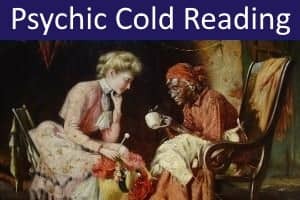 Most witnesses were convinced of the genuineness of the phenomena, although Janet and Margaret were occasionally caught cheating (e.g., by moving objects, bending spoons, making sounds). Photographs reported to show Janet 'levitating' are not convincing. The investigations established that the growling noises and gruff male voice came from Janet, who was using an advanced ventriloquist technique. Several fascinating recordings exist. The voice claimed to be 'Bill', who had once lived and died in the house. Researchers subsequently discovered that Bill Wilkins, a previous tenant, had indeed died there, apparently in the circumstances the voice had described. The dramatic phenemona at Green Street subsided in the autumn of 1978, after Janet received psychiatric assessment and care, and had been given a clean bill of health. However, strange noises were still occasionally heard at the house. Janet left home when she was 16 and married young. 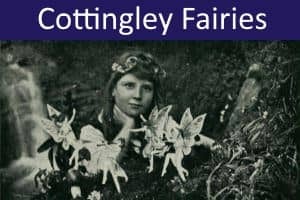 Criticism of the Enfield Poltergeist case has centred on the fact that trickery was sometimes discovered, on the media circus surrounding the case, and on the principal investigators' tendency to presume a paranormal explanation for events. Playfair, G.L. (2011). 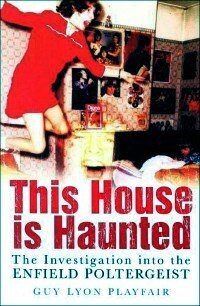 This House is Haunted: The Amazing Inside Story of the Enfield Poltergeist, 3e. Guildford: White Crow Books. Location: Treuddyn, near Mold, Flintshire, North Wales. Home of David Gower (science teacher, born 1947), his wife Rose-Mary (born 1950), and their adopted son John-Paul (born 1985) who has Down Syndrome. The Gowers also have four other adult children (another adopted son, and three daughters) who no longer lived at home. Phenomena: Large numbers of stains and carvings of images and Welsh words, generally of a religious nature, inside and outside the house. Intrusions of Welsh religious words in emails, computer files and printed documents. Noises. Strange smells. Temperature fluctuations. Pools of water. Electrical disturbances. Object displacements, disappearances and reappearances. Apparitions of the Virgin Mary and of a monk. Photographic anomalies. Scratching of skin. No throwing of objects was reported. Poltergeist Agent: Unclear. Possibly Rose-Mary Gower, or John-Paul Gower (age 12-17). Trigger: In February 1997 the family moved into the property from their previous home, which was in an adjacent bungalow. Possibly also the leaving home of the Gowers' other children (the latest occurring in 1997). Comments: Apparently paranormal events began in late February 1997, when an Irish couple (who have not been identified) claimed to have experienced healing after seeing an apparition of 'Our Lady' in a field next to the Gowers' home [letter sent to local newspaper]. Some days later, Rose-Mary reports seeing a white figure alongside one of her daughters at the top of the field. Also around this time, Rose-Mary took a series of photographs of their new property. One of these photographs appeared to show the image of a large face in the far window of the barn. In June 1997, this photograph was published in the Wales on Sunday newspaper, under the headline "Is this the face of Jesus' mother?". An article in the News of the World followed a week later. As a result of this publicity, the Gowers' field began to attract visitors laying flowers and praying at the site. On 31 January 1998, John-Paul saw a 'Blue Lady' by the barn door. Within a few days, Rose-Mary found a discolored stone that resembled Mother Theresa of Calcutta. Rose-Mary says that John-Paul immediately recognised this as the Blue Lady he had seen. In October 1998, the Gowers' youngest daughter, who was staying at the house, awoke to see the figure of a young monk at the bottom of her bed. A few days later, Rose-Mary saw the hooded head of what appeared to be a monk walking behind a hedge outside the kitchen window. In October or November 1998 the phenomena moved indoors when the dark stain of a cross was discovered on the lounge fireplace. In January 1999, following a trip away from home, the Gowers returned to find the Welsh word 'tangnefedd' (meaning 'peace') as a large brown stain on the wall next to the fireplace. The Gowers are not Welsh speaking and were initially perplexed by this word. Since that event, large numbers of stains (and, later, carvings) began appearing in the lounge and elsewhere, both in and outside the house. Almost exclusively these have been of Welsh religious words, crosses, and stylized outlines that appear to represent the hooded figure of a monk. The phenomena were not experienced as threatening and the family considered them interesting, even amusing. They decided to attribute the manifestations to the presence of a ghostly monk whom they nicknamed 'Brother Doli' (or Adolphus). The stains and carvings generally remain, allowing them to be viewed and photographed by visitors to the house. Other examinable items include emails, documents, and several photographs (taken by Rose-Mary) that possibly show anomalous images. Having been initially contacted by David Gower, parapsychologist Michael Daniels visited the property on 14 occasions in 2000 and 2001, creating an inventory and photographic record of the stains and carvings, and installing time-lapse video surveillance of one of the walls. Daniels did not personally witness any anomalous activity at the house, and on the one occasion when a carving appeared overnight on the surveilled wall, the video recording had failed. This, and other suspicious features in the evidence, led Daniels to conclude that an elaborate hoax could not be ruled out, although some aspects of the case remained ambiguous and perplexing. 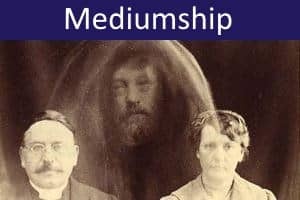 He suggests that this could be a 'mixed' case in which a basic core of genuinely paranormal phenomena (e.g., apparitions) has been deceptively elaborated upon by one or more members of the family, most likely by Rose-Mary. After the publication of Daniels' investigation in 2002, stains and carvings continued to appear at the house for several years. 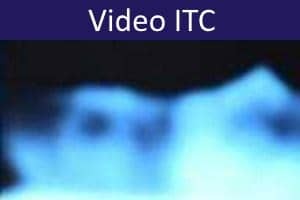 Rose-Mary has reported that all phenomena 'stopped abruptly' in January 2008 for no known reason [Internet forum postings, April 2014]. Gower, R-M. & Gower, D. (2002). The 'Brother Doli Case: Family Perspectives. Journal of the Society for Psychical Research, 66.4, No. 869, 222--224. Ruffles, T. (2015). The 'Brother Doli' Poltergeist Case.